The last two Thanksgivings I have spent with family in Kauai. This year, we decided not to do a family trip. But I really can’t let a four day weekend go by without some travel (my family gets it). My original plan for Thanksgiving was a visit to the Maldives for cheap. However, that was only one way, and sitting in Economy for that long sounded painful. So I canceled and decided to look some place more local for the long weekend. I decide on New York. The easiest way to get to NYC from Seattle is to fly direct on Alaska. But as it was Thanksgiving weekend, First Class seats were going for 60,000 miles each way. Spending 120,000 miles for a weekend in NYC was a lot. Even if I flew Economy, it would still be 60,000 miles. Paying cash was an option, but I had already qualified for MVP Gold 75K for 2018 and cash prices were outrageous unless you wanted to fly a red eye (see: Thanksgiving). I figured I could get creative and enjoy some premium flights. 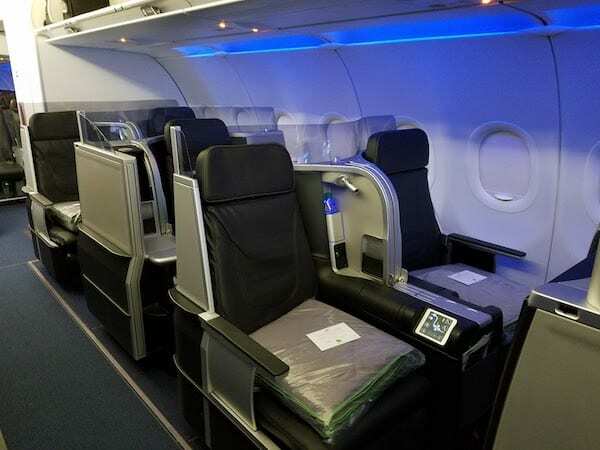 One option that I love is JetBlue Mint. I have a bunch of JetBlue points. However, JetBlue currently doesn’t fly their Mint product SEA-JFK and positing to SFO, LAX, LAS or SAN is expensive. Back to Alaska miles. I was able to snag a Virgin America flight routing through SFO in First Class. 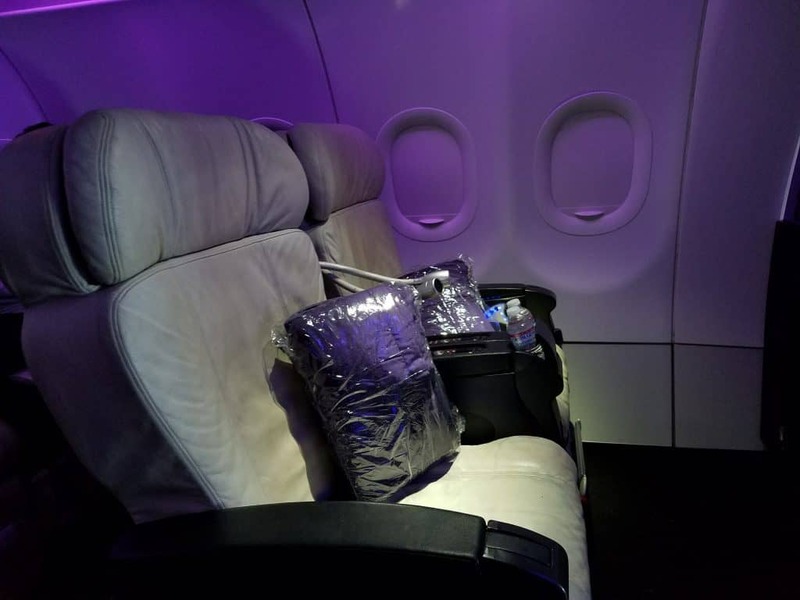 Virgin America’s First Class is easily a step or three above Alaska. And it was only 25,000 miles + $5.60 in taxes. Every once in a while you can find a Virgin First redemption at the saver price point. The only downside was I would have to travel on Thanksgiving day. For me, that wasn’t a problem. I’m looking forward to trying out Virgin America First one last time, and my first time on a transcon flight. Getting back home, direct flights in First were all 60,000 miles even with a connection. So once again, I got creative. Alaska is partners with Cathay Pacific, though you can’t search for award tickets at Alaska’s website (I use ba.com instead). Cathay has my favorite First Class. They also fly their 777-300 on a “Fifth Freedom Route” between JFK and Vancouver before heading on to Hong Kong. The Alaska phone agent that booked it for me hadn’t even heard of the routing. 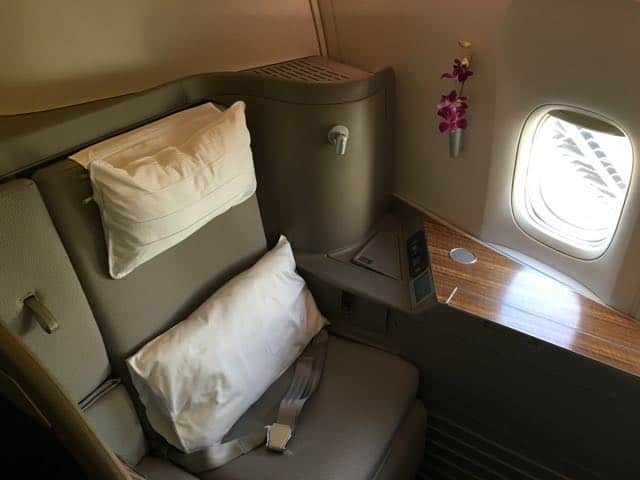 For 35,000 Alaska miles + $18.10 I was able to book JFK-YVR in Cathay Pacific First Class. Dare I say it is the best North American transcon flight available? One of the added perks is getting to try out the exclusive American Airlines Flagship Dining at JFK. There are two problems with booking this flight for me, however. First, it doesn’t get in to Vancouver until 11:45pm, after all the Alaska flights to Seattle have left. This means I have to fly back on Saturday night, spend a night in Vancouver, and finish the trip on Sunday in order to get back for work on Monday. Second, because it is a routing that goes US-Canada, I can’t book the final YVR-SEA leg on the same ticket as it is against Alaska rules. Instead, I had to book a second award flight for 5,000 Alaska miles + $43.76 (apparently YVR charges some hefty taxes) to get me home. I may end up renting a car and driving the last leg. So in all, I am spending 65,000 Alaska miles + $67.46. What do you think? Am I crazy to do this over Thanksgiving weekend? I’m a bit curious as to why you think VA has a better FC product than AS, though. I’ve flown VA first and not found it any better. More leg room, less seats (8 vs 12), better seats.